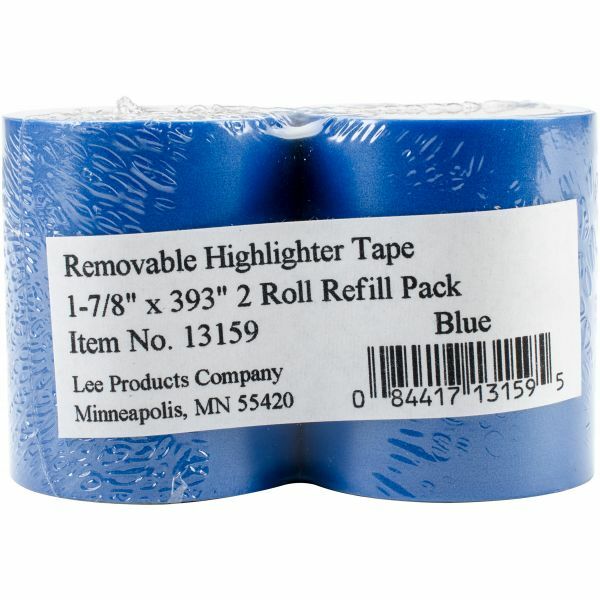 Lee Products Removable Highlighter Tape 1-7/8"X393" 2/Pkg - This removable highlighter tape sticks securely to most surfaces and helps by capturing attention with color. Highlighter tape in colors that are transparent so you can easily read what is highlighted. 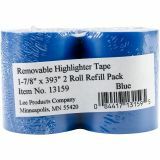 This package contains two 1.875x393 inch rolls of removable highlighter tape. Comes in a variety of colors. Each sold separately. Made in USA.